Virginia’s state game wardens work for the Virginia Department of Game and Inland Fisheries and are known as conservation police officers. The state is also home to Federal Wildlife Officers that work for the U.S. Fish and Wildlife Service. Intercepting poachers is one of their key duties within the natural habitats that range from two inland national forests to the Atlantic coastline. Conservation police officers in Virginia face everything from big game poachers in its forests to those who illegally harvest marine life. For example, harvesting undersized oysters is a particular problem in Virginia. In addition to their law enforcement duties, Virginia’s conservation police officers analyze wildlife and habitats, assess habit damage and remediate it, and educate the public on conservation law and practices. These range of duties make the job of a Virginia conservation police officer a challenging one. Still, there is stiff competition for available positions and the demand for these jobs outstrips the supply. Applicants who have a thorough understanding of the requirements and application processes are better prepared to pass the hiring committee’s rigorous selection process. Read on to determine which qualifications will help potential game wardens gain employment in the field. Individuals with law enforcement expertise and a passion for the outdoors, fishing, or hunting make ideal candidates for Virginia’s conservation police officer jobs. With roles ranging from law enforcement to educating student groups about the value of conservation in Virginia, applicants should be prepared to demonstrate everything from strong communication skills to a basic knowledge of state law and arrest procedures. 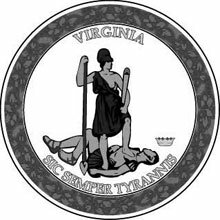 Additional information on the requirements to become a conservation police officer as well as job postings can be found on the website of the Virginia Department of Game and Inland Fisheries. License: A valid Virginia-issued driver’s license is required. Individuals must maintain a good driving record. Academic Credentials: High school diploma or GED is required; completion of two years of college with a major in biological sciences, police science or law enforcement, natural resources conservation, ecology or related fields. Candidates who wish to challenge the guideline with equivalent credentials may submit them for review. Vision: Vision corrected to 20/20 in each eye. Normal binocular color vision with no other conditions is required for the role; night vision must be ‘normal’. Candidates who have undergone corrective eye surgery to meet minimum visual standards may be required to submit additional information for review. The US Department of Labor, Bureau of Labor Statistics (BLS) reported that the median salary among conservation police officers in Virginia was $45,990 ($22.11/hour) as of 2016. Officers here earned an overall average of $49,010 ($23.56/hour) that year, while those with the most experience earning within the top 10% earned an average of $64,790 ($31.15).